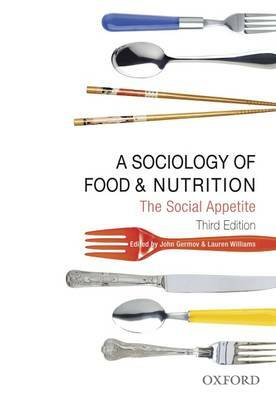 A Sociology of Food and Nutrition: The Social Appetite 3eintroduces readers to the field of food sociology, by comprehensively examining the social context of food and nutrition. Leading Australian and international authors in the field provide a contemporary analysis of the social factors that underlie food choice, exploring the socio-cultural, political, economic and philosophical factors that influence food production, distribution and consumption. Highlights of the third edition: BLRevised and updated chapters from experts in the field of food sociology. BLTwo new chapters from leading international authors covering the politics of food and the culinary cultures of Europe. BLStrong learning features: each chapter includes and overview, key terms, summary of main points, discussion questions and further reading list. BLSociological reflection exercises: new to this edition, these can be used as self-directed or class-based activities that assist readers to apply their learning. BLExtensive glossary of key concepts. BLAn expanded Social Appetitewebsite featuring a range of online instructor resources.